When it comes to a new baby, there are so many things to figure out. 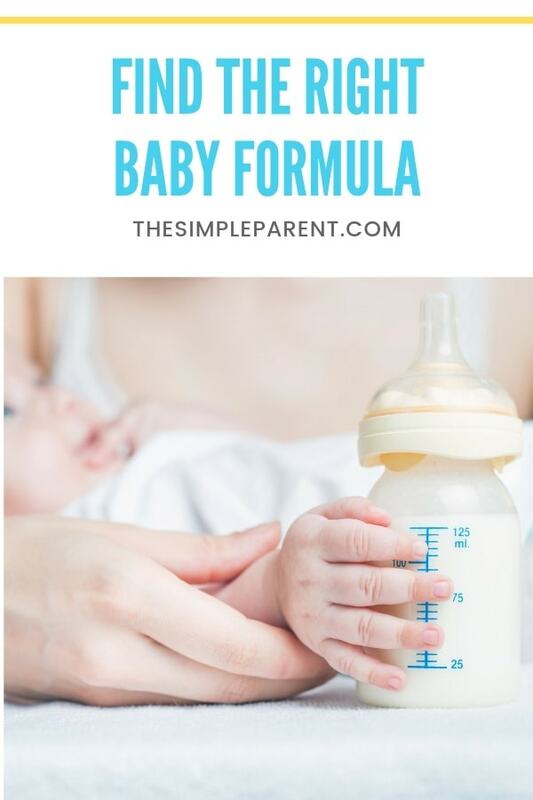 If you’re a formula feeding or combination feeding family, figuring out how to find the right formula for your baby is a huge deal. We’ve got some easy things to look for that will help you find the infant formula that works best for your family! Figure out what your baby needs. We discovered pretty early on that our kids did better on infant formula designed for sensitive tummies. There are many options available these days, so don’t be afraid to explore what works best for your child. Make sure you buy formula that is made for your child’s age range. Newborn formula has different amounts of vitamins and minerals than a baby formula designed for a 6-month old or a toddler. Ready-to-feed liquid, concentrate, or powder? Sometimes the infant formula aisle can feel overwhelming. There are so many different types of formula and then each type seems to come in at least three different forms! Figuring out whether you need a liquid or a powder formula has a lot to do with convenience and price. We used a mix of both over our years of formula feeding depending on what I had coupons for and what was happening in our lives. When Carrigan had RSV, we used a lot of ready-to-feed liquid because I had a lot on my mind and convenience was the most important thing to me. But on a regular, day-to-day basis, I found that powdered infant formula worked best for us. It’s generally the least expensive, easy to take on the go, and it doesn’t spoil (mixed bottles do need to be refrigerated once prepared but the powder alone doesn’t spoil). It does require some preparation but it’s really pretty easy so it’s the option that met our needs the best. If you’re like me, you didn’t anticipate being a formula feeding mom. Doing a combination of breastmilk and formula is what worked best for our family with both kids but originally I hadn’t given much thought to the prices of baby formula. The great thing about formula is that there are so many options available! In our time I discovered how great store brand infant formulas are in terms of nutrition and saving money! 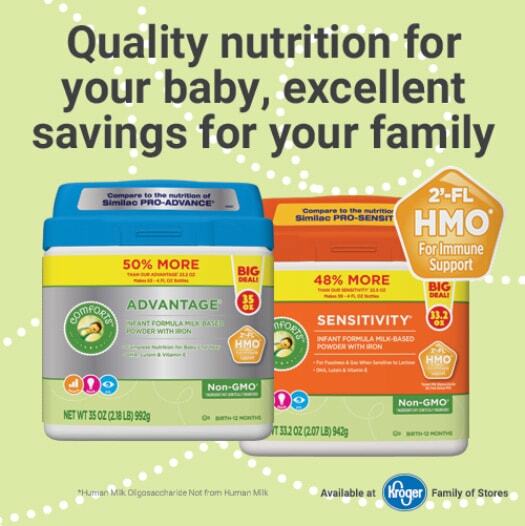 With brands like Comforts™ Sensitivity® Infant Formula and Comforts™ Advantage® Infant Formula at Kroger, you can get the perfect formula for your child while getting the best deal on infant formula too! If you’re wondering how the Comforts™ formulas stack up compared to brand names you’re more familiar with, you don’t have to worry! They provide complete nutrition just like the leading formula brands. The difference is in the price! You can get long-term savings of $400 over the national brands! Feel confident in your decision. All infant formulas are regulated by the FDA so it’s really all about finding what works best for your family. For my family, it was a combination of finding the right brand of formula and finding a price we liked. I didn’t have to worry about the quality of the nutrition in our formula because I know that more affordable brands offer the same quality as the leading brands. When it comes to figuring out how to find the right formula for your baby, trust your gut. 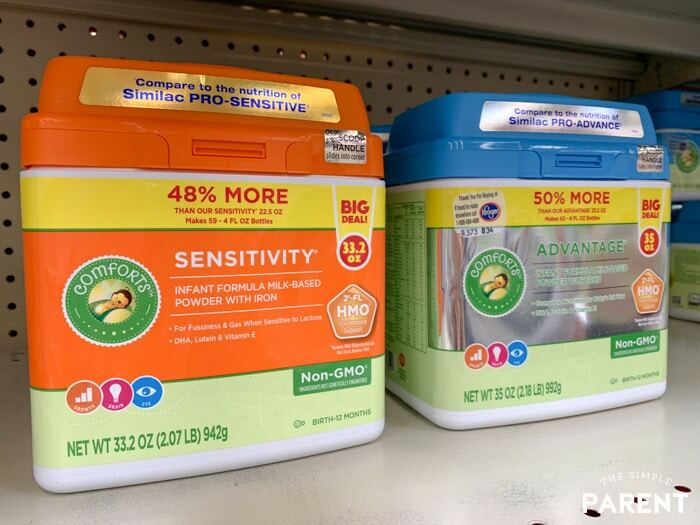 Be willing to try a few options and be willing to use the store brand like the Comforts™ formulas at Kroger. You can save up to $400 by trying it! If you’re currently using a different brand of infant formula, I encourage you to take advantage of the great Ibotta offer below to save even more on your infant formula at Kroger. Then start comparing and see how you can save $400 over familiar name brands! You’ll save money while getting the nutrition your little one needs! 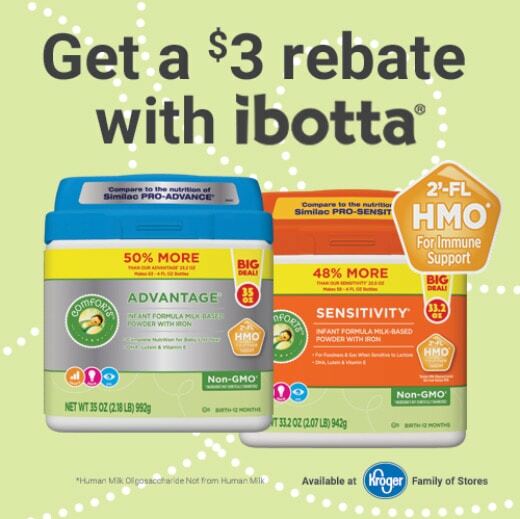 Snag the current Ibotta offer and $3 off of one Kroger Comforts Formula (any variety, 30 fl. oz. or larger). You can redeem it up to 2 times per receipt so you can stock up! 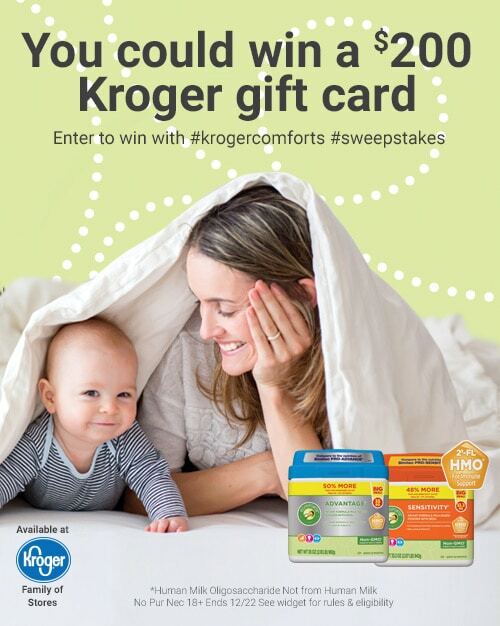 Enter for your chance to win a $200 Kroger gift card as part of the Kroger Infant Formula Sweepstakes! Enter to win by using the hashtags #krogercomforts #sweepstakes! Use the widget below to enter for your chance to win! No Pur Nec 18+ Ends 12/22 See widget for rules & eligibility. « The Easiest Crockpot Spinach Artichoke Dip Ever! i rt on both but not let me get pass it?